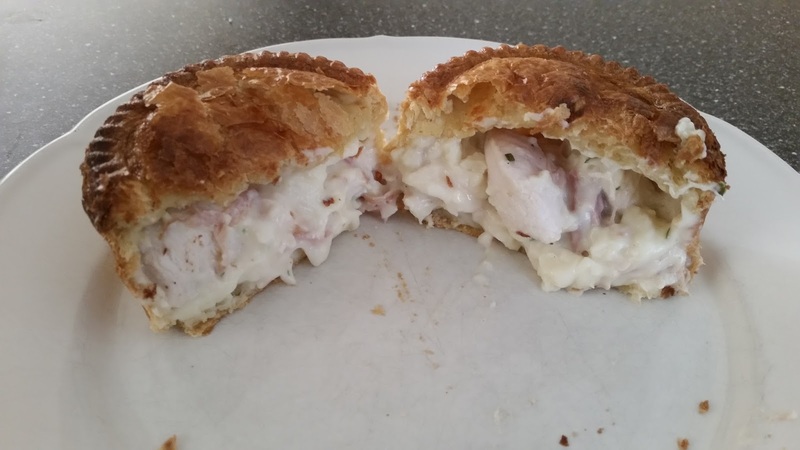 Pierate - Pie Reviews: My Eyes Can't Believe My Pies! My Eyes Can't Believe My Pies! It was a pleasure last week as part of my #LondonPie tour of our nation's capital to meet some London pie makers and one of them was Chris Brumby, who has set up "My Pie" in London. You may recognise the owner's name because Pierateer TJP actually had the pleasure of meeting Chris slightly over a year ago, before the business kicked off in it's current form and the pie truck (see below) had actually been purchased, and Chris' Beef and Red Wine pie was rated at a very impressive 6/7 (Pierate Highly Recommended). 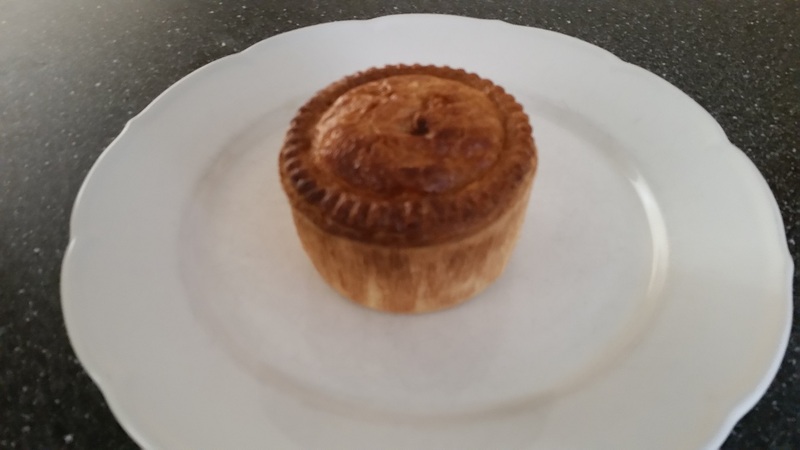 The chicken, ham and tarragon pie was lovely and golden in colour – and quite simply one of the best pies I've seen to look at. It just misses out on colour pie-fection due to the slightly different shades from paler to strongly gold across the side of the pie, but it's about as close as you could reasonably expect. The lid, in particular, was crisp and golden like all meat pies should be. It almost felt rude to cut into it! 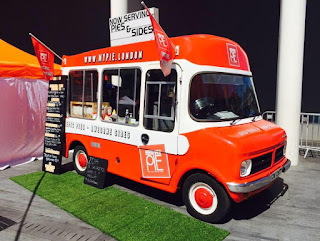 But hey, we’ve not got to over 500 pie reviews by just looking at – and not cutting into – the delightful pies we are presented with aboard the Pierate Ship! The knife cut with a pleasing crunch through the top pastry, and while the base seemed a little thicker (probably to hold in all the meati-licious filling I’m about to get to…) it held together very well. The pie passed the “hand held” test with flying colours too and the filling didn't leak out all over the place (like one with too much gravy or sauce and loosely filled might do). Filled to near capacity, with just a small air gap, the filling was very good. The content was large chunks of tender chicken which were delicious and the white creamy sauce complemented the chicken and pieces of ham well. It was certainly one of the best white sauces I have had in a chicken pie and it was pleasing to see decent pieces of ham in there. The ham clearly wasn’t just an afterthought, as can be the impression in some chicken and ham pies we rate, which is pleasing. Both the ham and tarragon were noticeable and flavoursome, but not dominating the flavour of the pie. All in all, to be able to get two of these pies cold for £7 is good value and it’s a very high scoring Pierate Highly Recommended pie! A ready meal pie? I'm always ready for pie! Are these Dees Pies Dee-licious? !